This podcast features former NHL player Matt Herr. Herr was previously part of USA Hockey as an American Development Model regional manager (2013-15). Herr talks to us about the ADM and how it's grown. 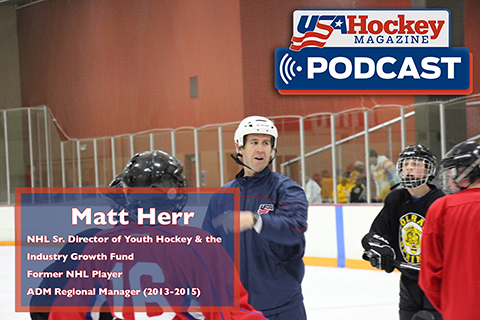 Currently the senior director of youth hockey and the industry growth fund for the NHL, Herr tells us about how the ADM has helped grow interest in the sport, fueling youth hockey participation and much more in the latest episode of the USA Hockey Magazine Podcast. Follow us on Facebook, Instagram, and Twitter for more from USA Hockey Magazine. Stay tuned for our next podcast, which goes live Thursday, Jan. 24.